Do you have a specific version that you sang growing up? This is a holiday favorite and an important part of Peanut history. This is the 1st time the animators drew Lucy pulling the football away from poor Charlie Brown who is about to kick it. This has become a signature move for that b*tch, Lucy…pardon my French. Is it me or do you think Lucy had a crush on Charlie? …or maybe she just needed a good smack in the back of the head. This is also the only time in Peanut History where another character other than Charlie Brown is called a Blockhead. Again, Resident Jerk, Lucy calls her brother Linus a blockhead for hanging out in the Pumpkin Patch all night instead of collecting candy. 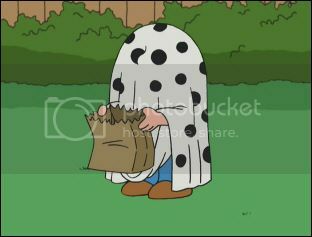 This gag has been referenced in many other television shows in honor of Charlie Brown, shows such as Family Guy. A kind of happy ending or kindness alert to Charlie Brown only receiving a Rock. After the special aired in 1966, children all over the country sent candy to Charlie Brown out of sympathy. I hope you all had a spooktastical Halloween! Last Drawlloween Challenge of 2016! Click here to watch, It’s the Great Pumpkin, Charlie Brown.